Demographics suggest that as people age, they tend to stay where they are. the move towards Assisted Living Suburbs is on the rise. Boomers might have moved into the city for a while to feel their oats, go to college or sample the nightlife. But typically, they moved back to the suburbs when they had kids and pretty much stayed there. And now, because boomers are such a big group, the senior population is set to surge. Boomers are expected to live longer and retire later than earlier generations. But they also have higher rates of chronic disease and don’t have the retirement savings their parents did. Many members of the generation that sang “I hope I die before I get old” have not planned for old age. More than one in four households age 55 to 64 has no retirement savings from a 401(k), an IRA or a pension, a recent federal report found. Their median net worth is about $9,000 and 91 percent of them have less than $25,000 in financial assets. Retirees who want to stay in the suburbs will have to cover the rising costs of property taxes and utilities and they may have to shell out big sums to retrofit their homes if they become frail or disabled. One study found that it can cost $800 to $1,200 to widen a doorway to accommodate a wheelchair, $1,600 to $3,200 for a ramp, and up to $12,000 for a stair lift. Major remodeling, such as adding first-floor bedrooms or bathrooms, can cost much more. Some will sell their suburban homes and move into hip urban downtown, but they are an affluent, niche market and rare indeed. The decision to stay and age in place or move is a difficult one, especially given the above-mentioned statistics. One may choose to stay in the suburbs if the home is built for one's needs or modifications are within one's means. Others may choose a retirement community. Yet others with special health and mobility needs may require an assisted living option. In any case, while the aged population is on the rise, so are the options for them. State and federal regulations are currently under review and we look for positive changes on the horizon. 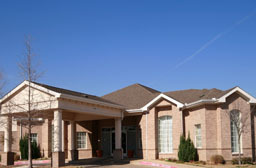 For the latest on Assisted Living in the Suburbs, stay tuned in here by liking and sharing.